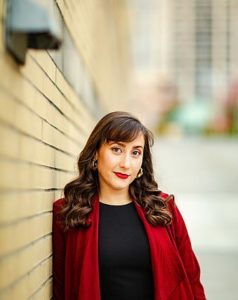 Cat Bernardi studied Jazz Vocal Music at both York University and Humber College, where she had the opportunity to train under accomplished musicians such as Jane Fair, Maria Farinha, Sacha Williamson and Michael Donovan. Through Toronto Jazz Workshops, she has also had the opportunity to train with jazz legend Barry Harris. Cat has also begun a new venture, composing music for Musical Theatre. She debuted her first musical “And Then She Did” at the 2018 Toronto Fringe Festival.